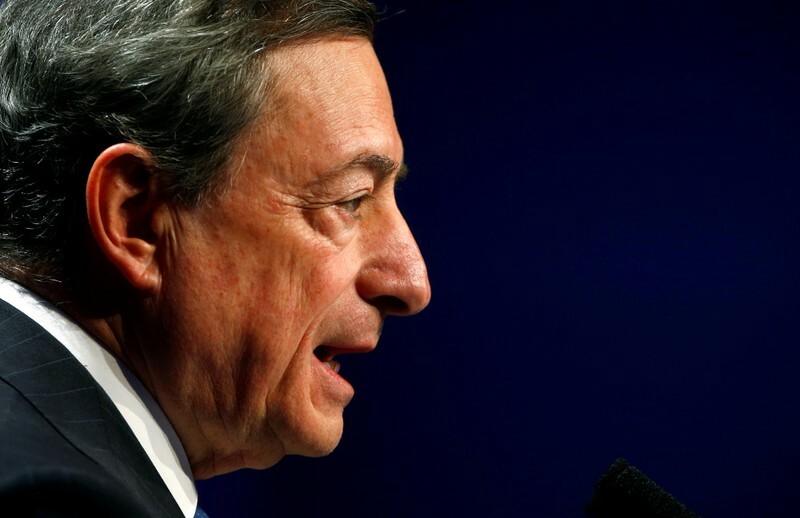 LONDON/NEW YORK (Reuters) – “Whatever it takes” is a daunting legacy for any departing central bank chief to bequeath a successor and leaves world markets anxious about what is to come after Mario Draghi leaves the European Central Bank later this year. Draghi’s 2012 pledge to save the euro won the confidence of financial markets and arrested the currency bloc’s debt crisis. Investors admired his willingness to break new policy ground — maneuvering past internal and external opposition — and clear communication of the ECB’s thinking. With growth and inflation flagging again, and the ECB’s policy arsenal depleted, whoever succeeds him may need to be similarly bold. Growing questions about the orthodoxies of economic policy — including monetary policy models — could present an additional test. Mohamed El-Erian, chief economic adviser for Allianz SE in California, said replacing Draghi, if badly handled, could create significant uncertainty at a time when the ECB faces slowing economic momentum. “Add to that concern about the eroding effectiveness of unconventional monetary policies, and the list of challenges facing the next ECB President gets quite significant,” said El-Erian, a long-time central bank observer. Draghi, nicknamed “Super Mario”, looks set to end his eight-year term without having ever executed a rate rise. But after years of ultra-easy monetary policy, including negative interest rates and an unprecedented 2.6 trillion euro asset purchase scheme, economic growth is weakening yet again. Inflation is below the ECB’s near-2-percent target and Germany’s 10-year bond yield has dropped back below zero. Investors fear the ECB’s window to normalize policy has closed, meaning it has little in its toolkit to face the next recession. Like other central banks, it is also struggling to explain why falling jobless rates have failed to lift inflation, market expectations for which are at their lowest since 2016 after weak German data on Friday exacerbated growth fears. This raises big questions for the next ECB head, to be appointed by politicians, probably after the European Parliament elections in May. Could a weak economy force a revival of quantitative easing (QE), with possible stock purchases given a scarcity of eligible bonds? And to prevent a Japanese style low-inflation, low-growth rut, the next ECB chief may have to mull unorthodox policy steps adopted by the Bank of Japan such as yield-curve control. “The issue of having too few tools for the next slowdown, is a challenge for all central banks, but in the case of the ECB you could have a big political crisis to deal with as well as the more normal central banking day job,” said Andrew Balls, global fixed income CIO at PIMCO. Potential candidates for the job are already discussing these possibilities. Finnish central bank chief Olli Rehn, seen as an outside tip, said this month that the ECB should follow the U.S. Federal Reserve and review its entire policy framework given the failure to lift inflation after years of extraordinary stimulus. Inflation has been below the ECB’s target since 2013. For Francesco Papadia, former ECB head of market operations, the balance sheet remains a key tool if further action is needed to shore up the economy. The hefty asset purchases under Draghi have doubled the ECB’s balance sheet to 4.68 trillion euros. Economists polled by Reuters favored ECB board member Benoit Coeure to succeed Draghi but saw Finland’s Erkki Liikanen as a more likely choice. Rehn, German Jens Weidmann — long a policy hawk to Draghi’s dove — and France’s Francois Villeroy de Galhau are also potential candidates. “Nobody can be more dovish than Draghi. Whoever it is, is going to be on the more hawkish end,” said Giles Rothbarth, portfolio manager in BlackRock’s European equity team. Few had predicted the ECB’s change of speed after Draghi took over from Jean-Claude Trichet in November 2011. With the debt crisis raging, Draghi had soon overridden northern European concerns about money-printing. “Draghi is big shoes to fill — his “whatever it takes” speech is precisely what was needed at the time,” said Bob Michele, head of global fixed income at JPMorgan Asset Management. Investors said the ability to communicate with markets and the boldness to fight a crisis were crucial qualities for a successor, and that they valued stability more than asset performance during a central bank chief’s tenure. Returns on the euro have fallen 17 percent during Draghi’s term, while those on bank stocks are 1 percent lower. The euro rallied 10 percent in the year after that July 2012 speech, however, while Italy’s 10-year bond yield dropped to around 4 percent from above 6 percent. An analysis of introductory policy statements by ECB economists shows they generally became easier to read under Draghi. For former Goldman Sachs economist Jim O’Neill, Draghi, Bank of England Governor Mark Carney and Fed chairman Jerome Powell represent a step forward as central bank heads because they have experience beyond academic circles. All three worked at banks. Powell and Carney have government experience, while Draghi later worked at the World Bank. “Whoever replaces Mario, I hope they are as open-minded, savvy and not too narrow-minded economists,” said O’Neill. Half the ECB board and more than a third of the rate-setting Governing Council will be replaced this year. Richard Barwell, a former BoE economist and head of macro research at BNP Paribas Asset Management in London, said the reality is the loss of an “entire dream team” that has driven the policy agenda. Coeure, for example, was a dynamic force in the ECB’s market operations team that designs key crisis-fighting tools. Belgian Peter Praet brought heavyweight power to the influential economics unit. “The succession will influence every decision for the next eight years,” said Barwell.